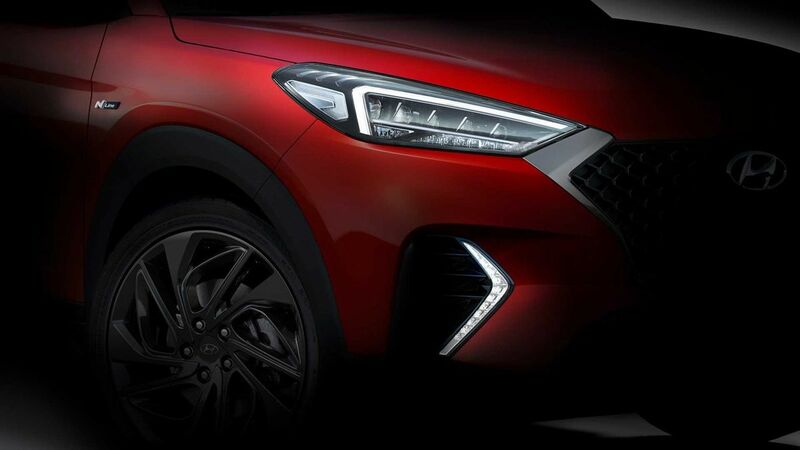 Teasers of the 2019 Hyundai Tucson N Line have been released ahead of the vehicle's debut at the Geneva Motor Show next month. At the front-end, the 2019 Hyundai Tucson N Line will carry bold new LED headlamps with L-shaped LED signature, a wire mesh grille, and an updated bumper. The upgrades will infuse some sportiness to the front facade. The 2019 Hyundai Tucson N Line is based on the mid-cycle update that will reportedly arrive in India in the second half of the current calendar year. The facelift for the Jeep Compass-rival features refreshed soft parts, additional convenience features, new engine options and a mild-hybrid system. The exterior has received full-LED headlamps, revised cascading grille, new faux skid plate, new muffler cutters, and updated tail lamps. The teaser images of sportier trim have revealed a set of black-painted alloy wheels, N Line badges on the front fenders, a mesh-type radiator grille, and boomerang-shaped LED DRLs. On the inside, the 2019 Hyundai Tucson (facelift) has received an 8-inch floating-type infotainment display and new aircon vents. Furthermore, the SUV now comes kitted out with Qi wireless charging and a USB port for the second row. 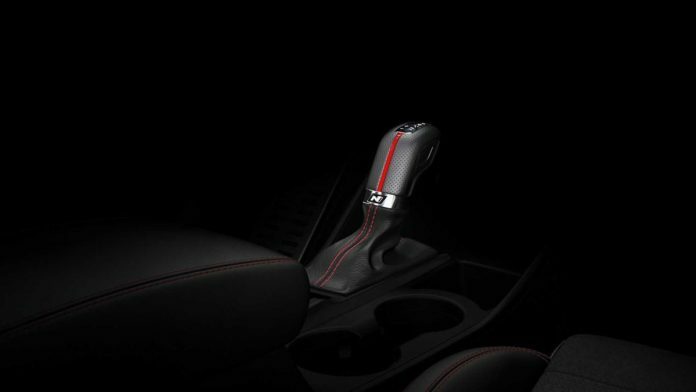 The N-Line variant will offer N-specific gear knob that is wrapped with perforated leather with red accents and stitching. The bright contrast stitches can also be even found on the leather seats. Hyundai has said that “this is just the start of much more to come,” which could be a hint at the performance-focussed Tucson N that will reportedly launch by 2021. Several reports suggest that the full-blown N model will offer upwards of 340 hp and will be capable of dismissing 100 km/h from standstill in less than 6 seconds. Hyundai may even provide a sportier suspension setup and sharper brakes. There are good chances of the N Line trim being available on all the powertrain options for the 2019 Hyundai Tucson. The interior updates will include a near gearknob, N badges, and an updated upholstery with contrast red stitching. Other than the conventional petrol and diesel engines, the 2019 Hyundai Tucson (facelift) is the first model in its class to have received a mild-hybrid diesel version, which combines a 2.0-litre oil-burner that outputs 182 hp and 400 Nm with a 48-volt lithium-ion battery and a starter generator. A smaller mild-hybrid powertrain with a 1.6-litre diesel engine will be added to the range of available powertrains.